January 1, 2016 is right around the corner and CMS is making final enhancements to its conditional payment web portal to comply with the SMART Act. You can read more about the SMART Act here. 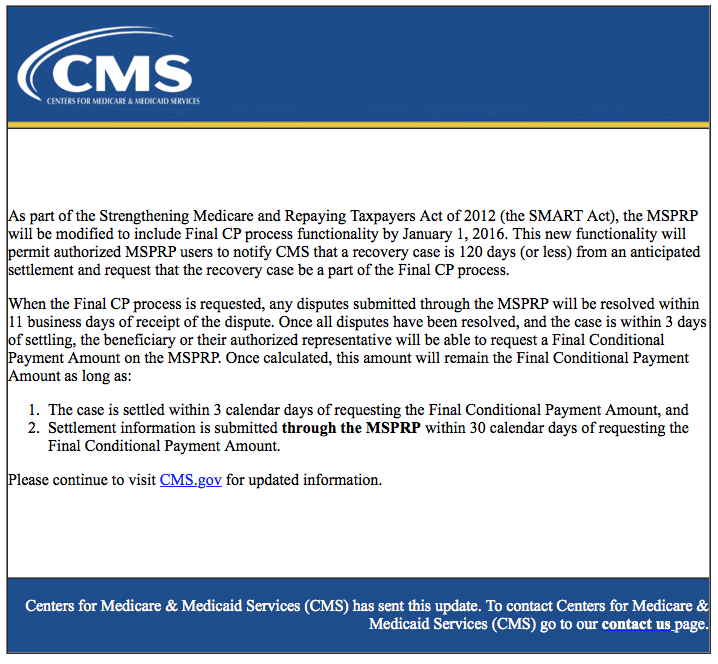 You may have received the update below from CMS about conditional payment reimbursement. With the enhancements to the web portal almost complete, call your GRG rep at (888) 556-7526 to ask how this may affect you starting no later than January 1, 2016.